WHY IS THE JOYOUS JEWISH HOLDIAY OF PURIM SO SIGNIFICANT IN BOTH GULF WAR I AND GULF WAR II? Title: WHY IS THE JOYOUS JEWISH HOLIDAY OF PURIM SO SIGNIFICANT IN BOTH GULF WAR I AND GULF WAR II? Subtitle: Purim figures significantly, and interestingly, in both Gulf War I and Gulf War II. When you understand the significance of Purim, you will ask yourself the question, "Is the Illuminati trying to send a message to Israel's enemies?" Gulf War I -- On August 2, 1990, Iraq suddenly invaded Kuwait, prompting the United States to respond militarily to defend Kuwait and drive the invaders out. Incredibly, Saddam Hussein meekly waited while almost 600,000 American soldiers, airmen and seamen methodically built up to counterattack. Finally, on January 16, 1991, U.S. and British aircraft began pounding targets in Iraq. This air pounding lasted for almost 6 weeks; finally, on February 24, the ground assault began. Let us go to "The Gulf War" to pick up the detail of the operation. "On 24 February 1991 the much feared Marine Divisions kicked off the ground campaign with a thrust into the heart of the Iraqi forces in central Kuwait. The Saudi and Muslim Joint Forces - East attacked up the Kuwaiti coast line. Meanwhile the U.S. 18th Airborne Corps and the French 6th Armored Division, making good use of their high speed and mobility, rushed into Iraq on the far left. These initial attacks rolled over Iraqi positions and on the 25th of February were followed up with the US VII Corps with the US 1st Infantry Division and the British 7th Armored Division attached. "In effect General Schwarzkopf had designed a strategy based on US doctrine which relied heavily on the flanking maneuver. (The flanking maneuver is a classic and reliable method of creating local superiority of power at a vulnerable point in the enemies line of battle.) Allied Forces occupied Iraqi front line forces while more mobile units encircles the enemy on the left, effectively cutting lines of supply and avenues of retreat. The movement proved to be highly effective and resistance by even battle hardened Iraqi units proved remarkably light. "The ground assault by the allies precipitated a general rout on the part of Iraqi forces positioned in Kuwait. There was basically only one highway out of Kuwait and that was the four lane desert highway that lead from Kuwait City to the Al Jahra' pass. As Iraqi resistance deteriorated the highway became jammed with every nature of vehicle laden with plunder from the Iraqi sack of Kuwait City. This highway was bombed, and thousands of fleeing Iraqis were killed and wounded. Scenes of destruction of this "Highway of Death" were flashed by news services around the world. Eventually the mood in the Arab countries within the coalition became one of empathy for their brother Arabs on the highway - men they did not want to kill unnecessarily. First, we caught up to 150,000 fleeing Iraqi troops on a crowded highway from Kuwait to Basra, Iraq, and slaughtered them with fuel air bombs. I remember the ghastly pictures of Iraqi soldiers burned to death in vehicles but I thought they were killed in battle and did not realize that we had killed as many as 150,000! Just days ago -- March 25, 2003 -- I verified this number in a phone conversation with a subscriber whose father was stationed in Kuwait City with a U.S. government agency; his father knew several Marine officers before the war started and talked with them after they returned, verifying with them this number killed. Let us turn now to Sherman H. Skolnick to find out details of this Highway of Death. This type of slaughter is expressly forbidden by the Geneva Convention, to which we are a signatory. The very idea that the fullest extent of a massive war crime such as this could go under-reported demonstrates the full authority and reach of Pentagon censors acting during wartime. This slaughter -- considered to be a blood sacrifice to the Illuminati -- was carried out on February 28, 1991. Secondly, immediately after the "Highway of Death" destruction, President Bush ordered a cessation of hostilities. The war ended on February 28, 1991. Gulf War I has been popularly called the "100 hour war". February 28, 1991, was the Jewish Festival of Purim. This fact means that the slaughter of these fleeing Iraqi soldiers occurred on Purim, 1991! Gulf War II -- On March 13, 2003, President Bush ordered a quiet beginning to the aerial campaign [NEWS1784], using fighter-bombers flying over 1,000 sorties daily and B-1 bombers engaged in carpet-bombing tactics. The major reason Bush quietly began the air campaign without fanfare was because he was still carrying out the public charade of getting the United Nations to approve his Iraq invasion; additionally, we were pouring materiel into Turkish bases, even though the Parliament absolutely refused to allow U.S. forces the use of these bases. We did not want to compromise the position taken by the Turkish generals in allowing us to place war materiel on Turkish soil. As we noted in the above article, this date was precisely 18 months after the 9/11 attacks! The occultist will hide the more offensive '666' by using the number '18', which is formed by a '6+6+6' calculation. The air war made the ground invasion inevitable, even though the American people had not the slightest clue the war had really started. However, DEBKAfile intelligence on March 14 reported that, not only had the air war started on the 13th, but the ground campaign was going to start either March 19 or 20. The ground assault began on March 20, exactly 555 days following the 9/11 attacks [NEWS1789]! The occultist views the number '5' as the number of death, and a triplication of '5' would mean "triple death". But, even though the war had really begun on 3/13, and every leader in Iraq knew it, President Bush had some more theatrics up his sleeve. At 8:15pm, Eastern Standard Time, on March 17, the president appeared on TV to announce a 48-hour ultimatum to Saddam Hussein to leave the country with his sons, or suffer the invasion. Thus, the 48-hour ultimatum expired at 8:15pm., EST, March 19. What is the significance of the seemingly prominent timing role given the celebration of Purim to these two Gulf Wars? Before we hazard an answer, let us quickly review what the celebration of Purim is to the Jewish people, and what the Biblical roots are. The word, 'Purim' -- phonetically pronounced 'poo-reem'Strong's Greek & Hebrew Dictionary, Strong's Number H6332 -- is from the root word, 'puwr', Strong's Number, H6331, which literally means, "to bring to naught", to "break", and to "crush". The Purim celebration rejoices in the Divine deliverance of the Jewish entire nation from an elaborate plan of a government official -- Haman -- to completely annihilate all Jews. We see the story in the book of Esther, so let us spend a few moments reviewing it. "They cast Pur, that is, the lot, before Haman from day to day, and from month to month, to the twelfth month, which is the month Adar" (Est 3:7). Beginning with the 1st month, all the days and months were tried with unfavorable result, until the last. At Haman's request Ahasuerus caused his scribes to send into all the realm on the 13th day of the 1st month a decree that all Jews should be put to death on the 13th day of the 12th month (Est 3:12ff). As the narrative shows, the wisdom of Mordecai, Esther's heroism, and fasting and prayer availed to foil the dastardly scheme of Haman, who had already built the gallows on which his hated rival should be hanged. Haman was himself hanged on this gallows, while Mordecai was honored yet more (Est 7:10; Est 8:1, 2). "A second decree was issued ... that on the 13th day of the 12th month (Est 8:9, 12), the day appointed in the first decree for their extermination, the Jews should gather together and defend themselves against their foes. On that fateful day not only did the Jews successfully resist the malice of their enemies, but the public officials also, seeing that the royal favor was with the Jews, espoused their cause. In Shushan, the royal city, a second day, the 14th, was granted the Jews for vengeance on their foes (Est 9:11-16). In view of so great a deliverance "Mordecai wrote these things .... unto all the Jews .... to enjoin them that they should keep the fourteenth day of the month Adar, and the fifteenth day of the same, yearly, as the days wherein the Jews had rest from their enemies (Est 9:20-22). Ever since these days of Haman, Esther and Mordecai, the Jews have celebrated the Divine deliverance of the entire Jewish nation from the diabolical plan to annihilate all the Jews on one single day throughout the Empire. You can see the hand of Satan behind the plot, as the "casting of the lots" - Pur -- caused the prescribed day of the annihilation to fall upon the 13th day of the month of Adar. Satan's favorite number of extreme rebellion against God is '13'. Haman's exceedingly great hatred completely consumed him, allowing him to think of nothing else but annihilation of the Jews. Thus the warning from God against the wicked who plot a wicked trap for someone else to fall in, is that he shall himself fall into that trap. If this principle be true for an average sinner, how much more true should it be for someone who is planning to annihilate God's Chosen People, the "Apple of His Eye"? Thus, in the chronicle of Haman, the Jews rose up once the King allowed them to defend themselves and slew over 75,000 people who were to participate in Haman's planned slaughter. God caused a fear of the Jew to come upon the citizenry, thus making possible the slaughter of the citizens who had planned to participate in Haman's plan. WHAT DOES THIS ASSOCIATION OF PURIM WITH THE GULF WARS MEAN TODAY? To be honest with you, I really do not know. However, I have long ago learned that there is no such thing as "coincidence". As President Franklin Roosevelt once said: "If an event happens, you can be sure it was planned". To gain any sense as to why the Illuminati would use the occasion of Purim as a timing mechanism in both Gulf War I and Gulf War II, we have to go back to the theme of Purim. The Jews joyously celebrate the Divine deliverance of the entire nation from the annihilating plans of a Gentile government official, Haman. It is also interesting to note that Haman had 10 sons; does this make him an "11th horn", as Daniel 7:7-8 speaks of Antichrist arising after the world's governments had been reorganized into 10 super nations, each one with a ruler. Thus do Bible scholars speak of Antichrist as the "11th king"; the Illuminati has assigned the number "11" to their coming Masonic Christ [Antichrist]. Is it possible Haman is a type of the Antichrist who will also hate the Jews exceedingly and attempt to destroy them? Syria and Egypt clearly want Israel eradicated. They have attacked Israel several times since 1948, trying their best to destroy the entire nation. Iraq, Saudi Arabia and virtually every Muslim on earth want Israel destroyed off the face of the earth. Could the Illuminati be signaling fellow occultists the world over that they intend to use the Muslim hatred for the Jew as a gigantic trap into which an enraged Muslim population will fall as they attempt to attack Israel? We encourage you to read Zechariah 12 very carefully, for God declares His intention to enrage the enemies of Israel in the Latter Days so they will come repeatedly against Jerusalem with annihilation on their minds. 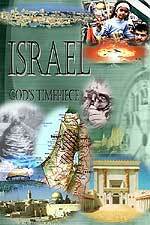 God declares that He shall work through tiny Israel to bring all her enemies to destruction. 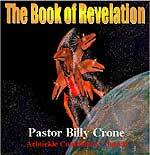 As we have repeatedly pointed out, the Illuminati realized a long time ago that they must annihilate all followers of monotheistic religions, since they will never be able to fully accept the claims of The Christ. The followers of Islam are the first on the Illuminati hit list. Further, since the Illuminati is so completely given over to "Illuminized Freemasonry", they intend to seize both Ancient Babylon and the Temple Mount. On the Temple Mount, they are determined to clear the site of the Dome of the Rock -- by an earthquake, says Lemesurier -- so they can rebuild the Temple of Solomon. Only then can they complete the legend of Hiram Abiff. [Read NEWS1643]. Truly, these surely seem to be the time of the End of the Age.